With funds raised from the AHC Foundation, we hope to develop a cure for all of our AHC families suffering from AHC. 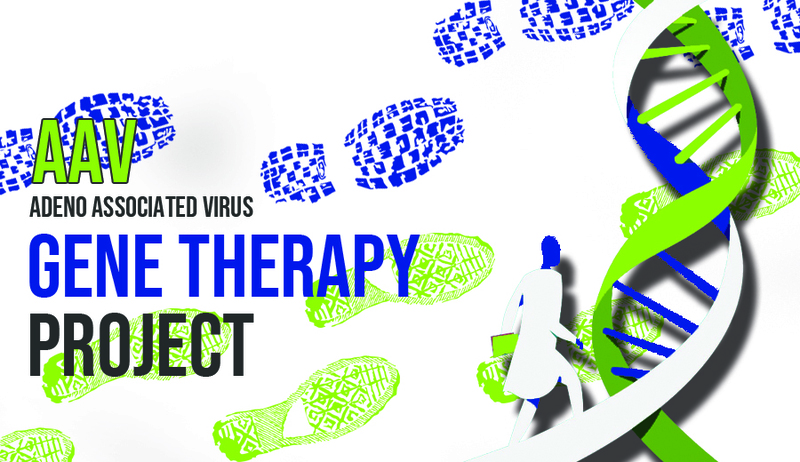 We believe a path has been identified to a viable permanent treatment: gene therapy. If we can get this project to clinical trials quickly, it may be possible to treat our children before it is too late. As patients get older, the long-term effects of brain atrophy may not be reversible. For all of the children who now suffer with AHC, it is imperative that we move fast, and we need your help. Gene therapy provides a path to a cure for AHC. A similar approach has already been successful in many diseases like Batten’s disease, Friedreich’s Ataxia, Niemann-Pick disease, Rett Syndrome, Giant Axon Neuropathy, Spinal Muscular Atrophy, and multiple retinal disorders. This is not only cutting-edge science, but also a proven, effective, and permanent fix of the genetic code. It will be delivered by a one-time injection into the cerebrospinal fluid and is designed to permanently correct the dysfunction caused by a mutated gene. Unlike drugs, gene therapy targets the source of the problem: DNA. In many diseases it permanently corrects the dysfunction caused by a problematic gene. We call that a cure. In the therapy development phase, a functional copy of the gene that causes AHC, and all of its regulatory components, are packaged into a benign virus (AAV) that has been designed to target neurons safely and efficiently. This is being done by the same leading scientists in the world specializing in AAV gene therapy vector engineering. This viral vector costs about $35,000 to produce. In the pre-clinical research phase, the therapy is tested in mice for safety and efficacy. Mice that carry the disease are injected with a therapeutic dose of the virus containing functional genes, and they are monitored carefully to determine the adequacy of the treatment. This is being done by the leading mouse laboratory in the world. This pre-clinical testing costs about $250,000. Before injecting humans, the therapy must be tested on rats and monkeys under FDA-approved conditions to ensure the highest standards of safety. The goal is to ensure that the product is safe for administration into children during clinical trials. The toxicology study will be performed by an industry leader in drug safety and bioanalytical studies. A contracted toxicology study in rats will cost $330,000. Good Manufacturing Practice (GMP) is a system for ensuring that products are consistently produced and controlled according to quality standards. It is designed to minimize the risks involved in any pharmaceutical production that cannot be eliminated through testing the final product. This human-grade virus vector will be produced by the same leading scientists who will develop the AAV gene therapy vector in stage 1. The cost of this production will be $1.6 million to $2.4 million. A dedicated team of specialized AHC clinicians and a preclinical team of scientists will jointly design a clinical protocol that will stipulate clearly how the trial will be conducted, how patient follow-up will be handled, how data will be gathered, and how success will be determined. Our trial will involve delivering the virus and its therapeutic payload directly to the spinal fluid for rapid delivery to the brain. This viral vector will be designed to transfect as many neurons in the brain as possible, and treat the dysfunction associated with each mutated gene. Two major hospitals specializing in AHC are the prime candidates for first-in-human clinical trials. The trial design and execution will cost $1.0 million to $1.5 million. How expensive is gene therapy? We estimate the total cost of the trial to be close to $4 million. We need your help to reach this target. A donation now can change the future for these children and families, before it is too late. Alternating Hemiplegia of Childhood Foundation is a 501(c)(3) organization. All contributions are tax deductible. Become a fundraiser with our convenient peer-to-peer platform.